Last month, DeKalb Office hosted their 6th annual Pumpkin Event. This is one of our favorite Halloween traditions each year. 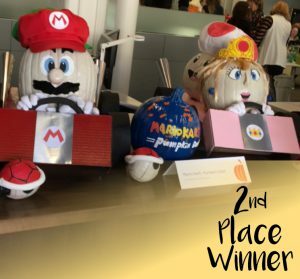 The company invites their clients to decorate pumpkins that are then put on display at the Ronald McDonald House. These are no ordinary pumpkins, but truly the best of the best. 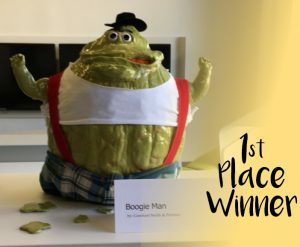 Some of the entries this year included a boogie man, Mario (and friends) and even a bowling lane! The kids are always in awe of the amazing creations and we love to see what the participants will come up with each year! These pumpkins are delivered to the House in time for our annual Halloween Party! This year, the ladies of Alpha Delta Pi at Samford University hosted the event. With Halloween-themed crafts, games, decorations and even dinner, the night was full of not-so-scary fun! We love when organizations come together to do fun activities for our families. 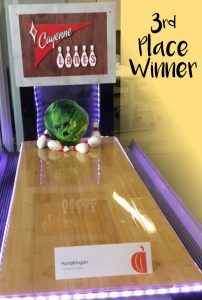 Thank you to all those who participated in DeKalb Office’s Pumpkin Contest and those who made our party possible! Due to your kindness, the guests of RMHCA had a wonderful Halloween!